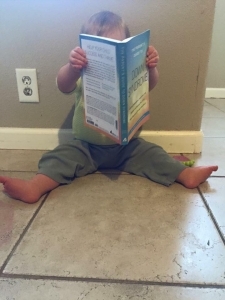 A really long title/subtitle for a relatively short book PACKED with resources, perspectives, and front-line information for parents. 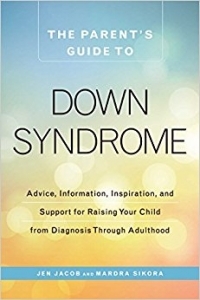 The Parent’s Guide To Down Syndrome ranges from prenatal diagnosis to issues that adults with Down syndrome are facing and includes several interviews from self-advocates who share their thoughts on housing, employment, and even advice to new parents. 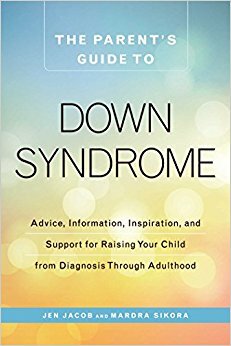 Jen Jacob is the co-founder and vice president of the Down Syndrome Diagnosis Network. As a part of her role, she creates, moderates, and manages small online groups for more than 1,500 new and expectant parents. 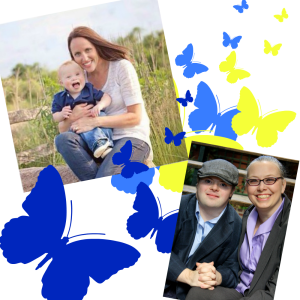 Jen is the author and a contributor for Unexpected: Stories of a Down Syndrome Diagnosis, available globally. She lives in Iowa with her husband and four children; her youngest son, Owen, is 2 years old and has Down syndrome. Mardra Sikora balances a patchwork of community, advocacy, work, and family. 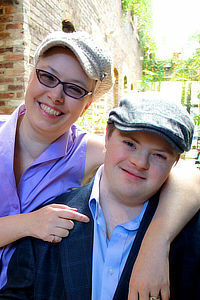 She believes in the power of words and writes both fiction and nonfiction to advocate for and with her adult son Marcus. You can find her and Marcus on the blog GrownUpsAndDowns.com; as well as on various blog networks, including The Huffington Post. 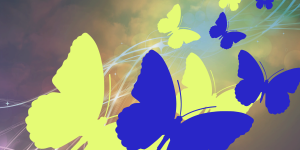 We are happy to share about the mission, research, and work of advocates around the country and around the world.